Wenn man dedenkt wie populaer insgesamt die songs einer LP im radio sind, sprechen wir ueber das am meisten gespielte musik album aller zeiten in Hellenischen radio. Mit All Time Classics wie Never tear us apart & Need you tonight und mit top hits wie Devil inside, Mystify & New Sensation koennte es auch nicht anders sein. so fern es den air-play ihrer songs betrifft sind? Ich hatte mir mehr erwartet! Zum einen sind da wahrlich richtige Kracher/Superhits drauf, aber doch auch etliche Füller, deshalb nur 4 Sterne: die Hälfte der Songs verdient 5-6, die andere leider nur 2-3. Naja, vielleicht editier ich das nochmel irgendwann. Mijn eerste kennismaking met INXS in 1987, het geboortejaar van mijn zoon. Een pleiade aan hits en geweldige songs. Dit is een dijk van een plaat! Whether or not this is INXS's finest hour is one to be debated. It does seem to be the definitive one if anything though. Commercial success is somewhat of a major factor to this; impressively the first 4 singles all went top 10 in the US. But at the same time, there's a level of accessibility to this that makes it more approachable. They could perhaps be accused of having a bit much filler at times, and it's true here too, but it's not as detrimental to the final product in this case. This is the big one...the group's tour de force...everything in the bands catalogue is measured up to this album. It is sheer 80's pop brilliance, near perfect song writing, musicianship, production...everything...the stars aligned for this one. The entire album is catchy, memorable and branded with indelible hooks. Songs such as "New Sensation", "Never Tear Us Apart", "Devil Inside" "Need You Tonight" and "Mystify" are so deeply ingrained in our consciousness that sometimes we forget how brilliant they are. Even their remake of their own cover "The Loved Ones" stands up with the original 60's track. This outing also displayed the groups diversity in musical styles; shifting through pop/rock, rock & roll, funk, dance-pop and dance-rock with undeniable ease, as if it was second nature too them. And on a lesser note, this was a commercial smash hit worldwide....and sent the group into the stratosphere of fame and fortune, massive stadium gigs and eventually self indulgence. Without doubt this is INXS' opus, they would never again re-capture the dizzying heights that this album reached musically. A true Australian masterpiece and an absolute classic of the 1980's on a world scale. If your only going to purchase one album by this group, then this is the one. A lot believe this is their holy grail in terms of albums but to me it falls pretty short of the expectations it's got after the amazing peak that is 'Never Tear Us Apart. 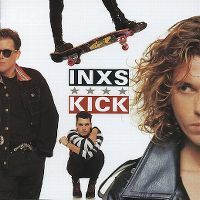 Production wise it's a masterpiece of Australian rock/pop and will ultimately be remembered as INXS at their best.